"Berthe Hoola Van Nooten accompanied her husband to Jakarta (then known as Batavia), the capital of Java, where he died. 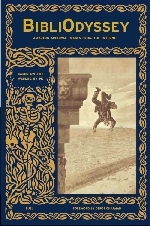 Left with debts to pay and a family to support, she marketed a selection of her paintings as chromolithographs and published under the title 'Fleurs, Fruits et Feuillages Choisis de l'Ile de Java Peints D'Après Nature', the first edition of which appeared in 1863-4 with the backing of the Queen of the Netherlands." 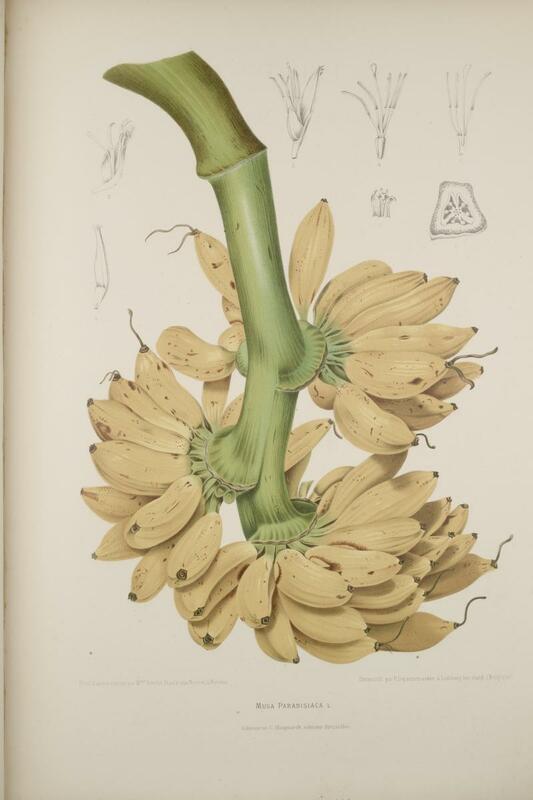 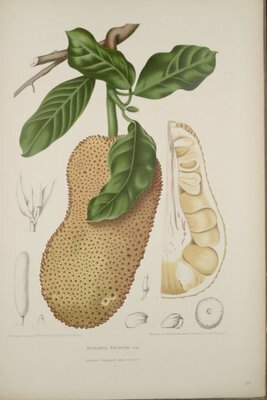 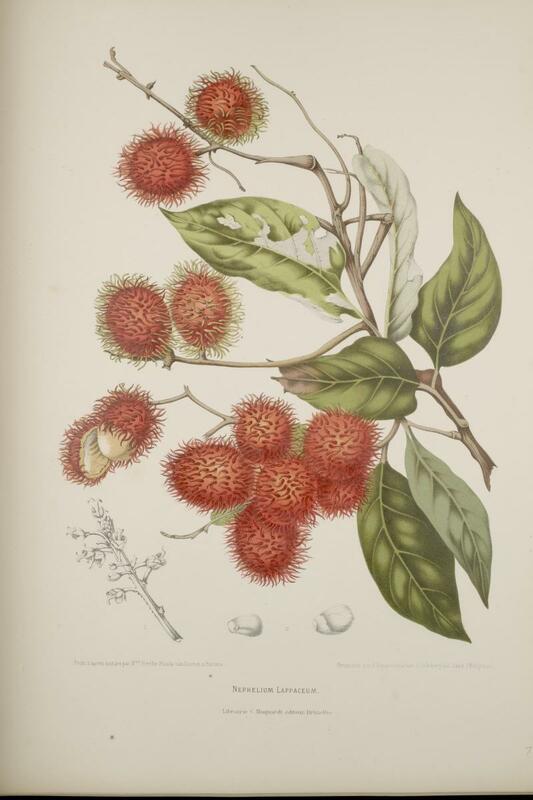 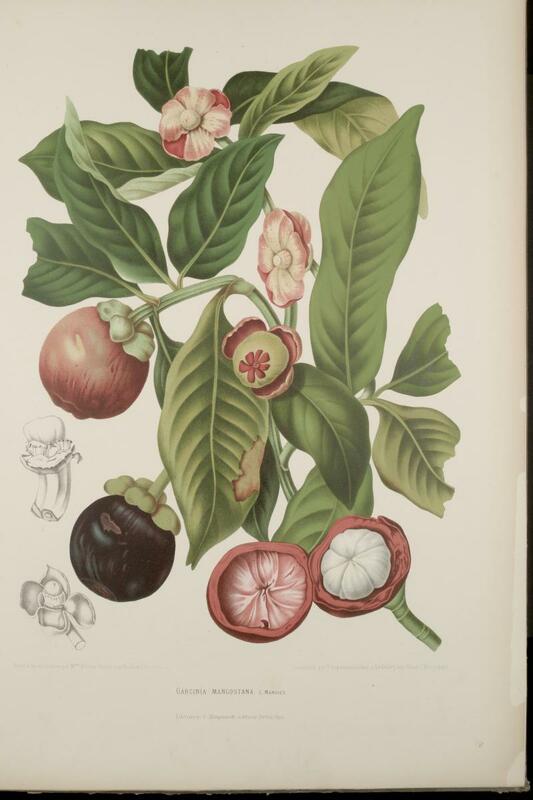 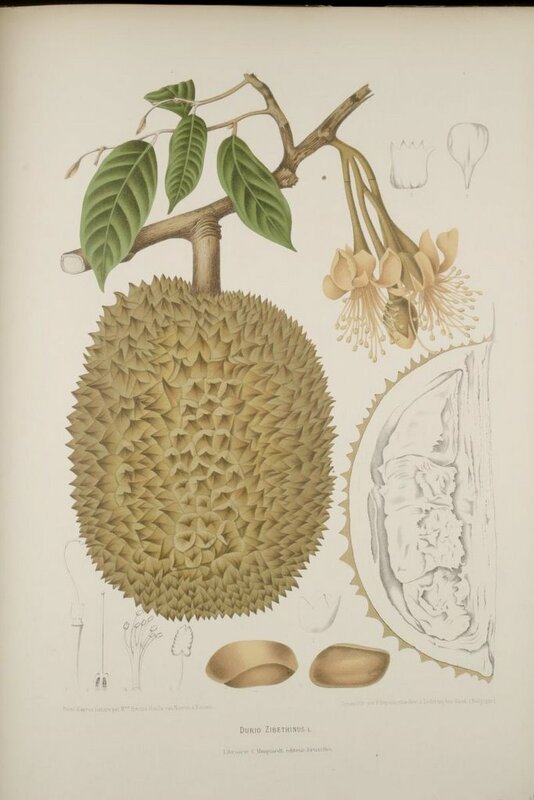 The fruit illustrations here (not all were native to Indonesia) come from an 1880 edition of 'Fleurs, Fruits..de Java' in which the hand finished chromolithographs were produced by Pieter De Pannemaeker. 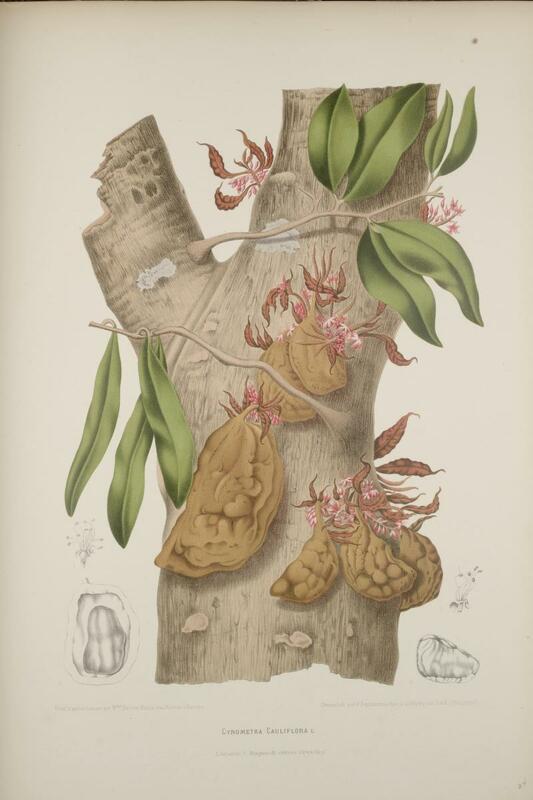 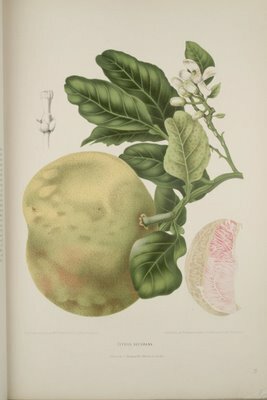 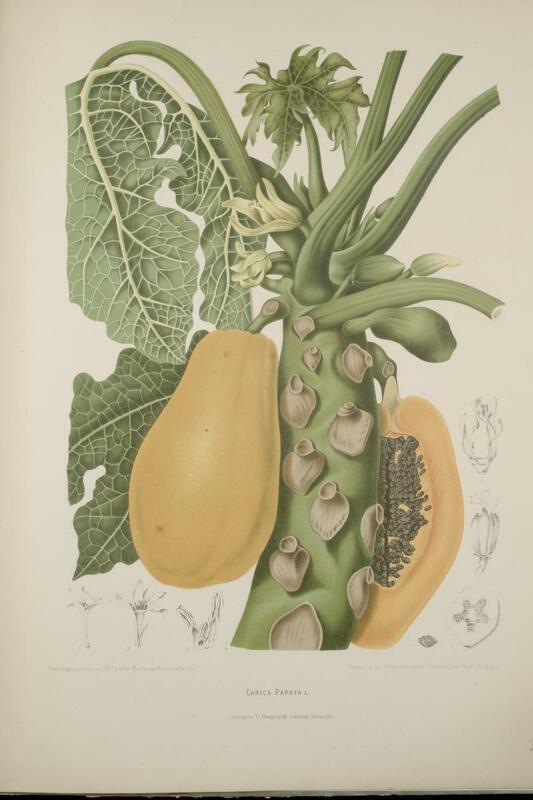 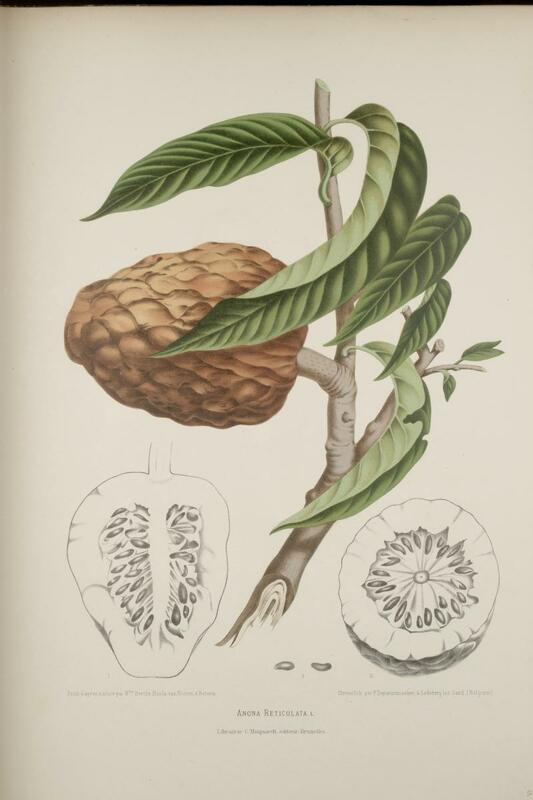 There are 40 plates in total (not just fruit) online at the superb and highly addictive Illustrated Garden website at the Missouri Botanical Gardens. 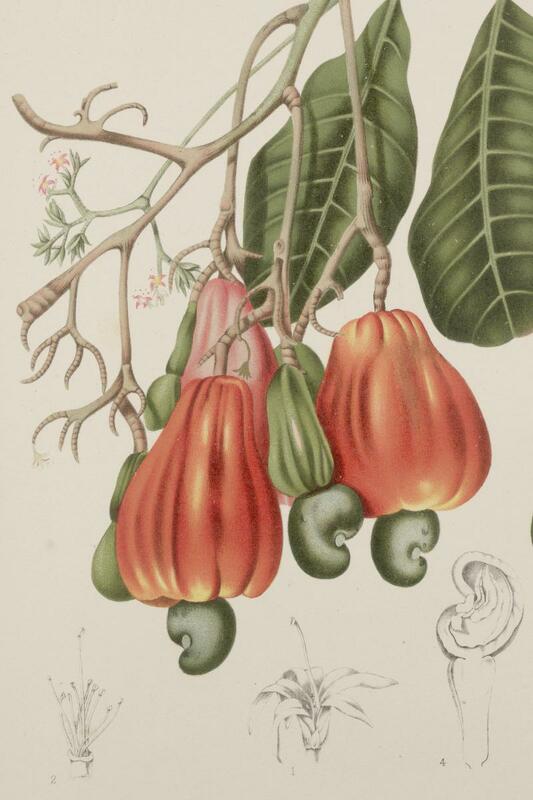 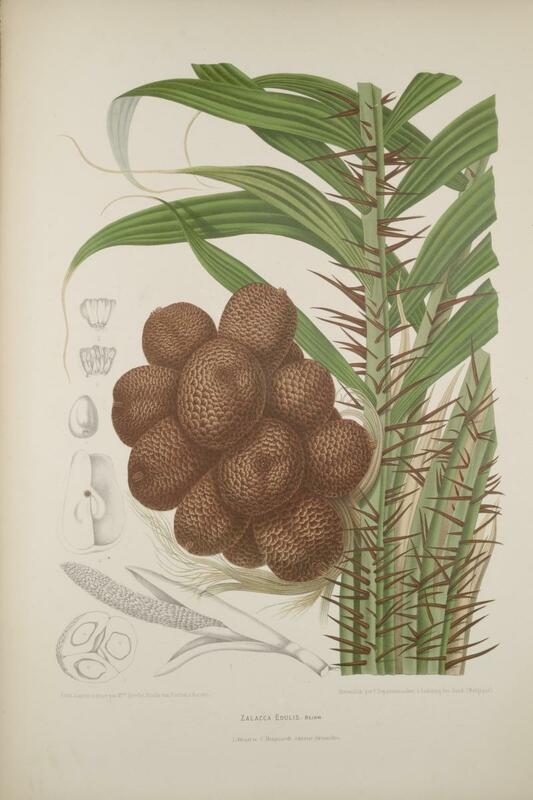 "Van Nooten was clearly a more than competent artist, for the splendid tropical plants, with their lush foliage, vividly coloured flowers and exotic fruit, have been depicted with great skill. She managed to accentuate the splendour of each species by adopting a style that combined great precision and clarity with a touch of neo-Baroque exuberance, revelling in the rich forms and colours of the tropics. "